If you aren’t very technologically savvy, BMW’s new customer service experience, may seem a bit overwhelming. But that’s not the case with BMW Genius. BMW has adopted a new service position in most of their dealerships and a hotline, email address, and app to help customers completely understand their BMW and what it’s able to do. Simply put, BMW Genius is your new co-pilot. BMW Geniuses are available anytime to provide beneficial product information and answer any questions you might have, no matter where you are. It doesn’t matter if you’re at a BMW center, on your smartphone or tablet, or whether you’d prefer to call the BMW Genius Hotline or send them an email. The BMW Genius is specially trained to help you get familiar with all aspects of your car throughout the entire car buying process. The Genius App is armed with how-to videos about your car’s key features and functionalities and comes equipped with model specific product information. The better you know your BMW, the more you can enjoy the features it has to offer. 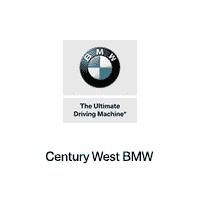 Century West BMW proudly serves the Studio City, Glendale, West Hollywood and Los Angeles communities. Please give us a call or contact us online if you have any questions regarding our new inventory, or if you would like to set up a test drive.